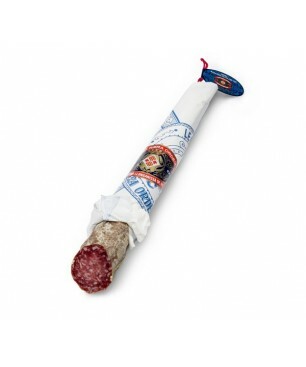 Bellota Iberico Salchichon. Two pieces and vacuum packed. 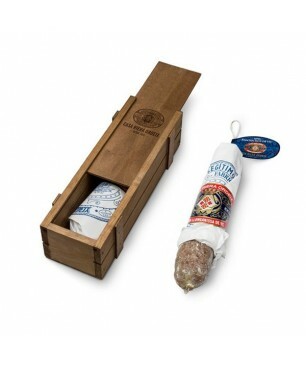 The Bellota Iberian Salchichon is a carefully selected mixture of pork meat from iberian pata negra bellota pigs. The mixture is seasoned to bestuffed into a natural pork gut and put it to dry slowly. Total weight of 1.1 Kg. 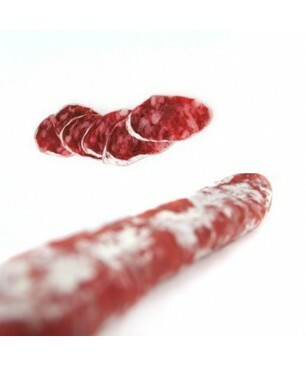 Taste: Very, very tasty with a dry meat seasoned flavour. 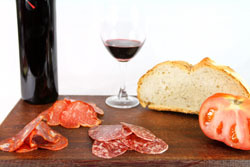 Consumption: : Because of its intense, good taste you may eat it with traditional bread and other iberian products. 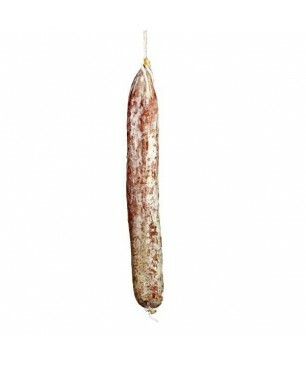 Curiosities: The proportion of natural pepper is just the right one so the sausage is tasty but not too spicy. Enrique G. el día 03/12/2019 Muy buen sabor. Luisa B. el día 01/14/2019 muy buena calidad. Quizas un poquito blando todavia. Barry S. el día 12/17/2018 Good flavour. Rather too much fat for my taste. 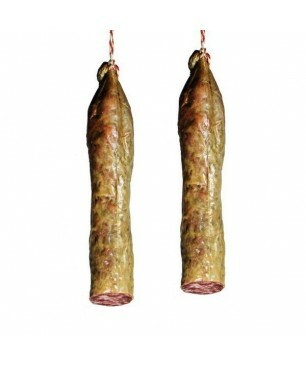 SERGE C. el día 12/17/2018 Très bon saucisson. 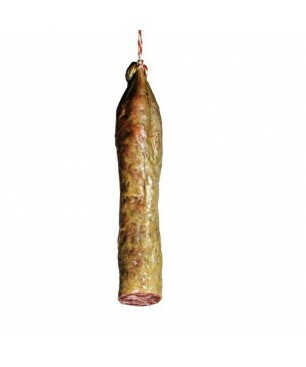 Franck N. el día 03/11/2017 Saucisson tout à fait bien. Équilibré en graisse et muscle. Bon goût, mais c'est normal pour un Bellota. Produit vendu 50% moins cher qu'en supermarché. Franck Nicolle. Chef au Restaurant l' Appart à Vittel. Laurent R. el día 03/05/2013 Produit de très bonne qualité. Je le recommande à mes amis. D'ailleurs ma prochaine commande sera une commande groupée avec 2 amis. Taneli V. el día 01/16/2014 Jamonarium is a good shop and the service worked well. The chat is a good thing and one reason why I placed the order at your place. 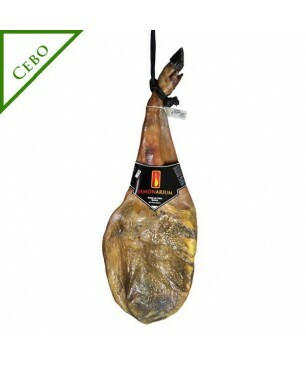 Swift response to questions is important.I would certainly recommend you to anyone thinking to order jamón online. 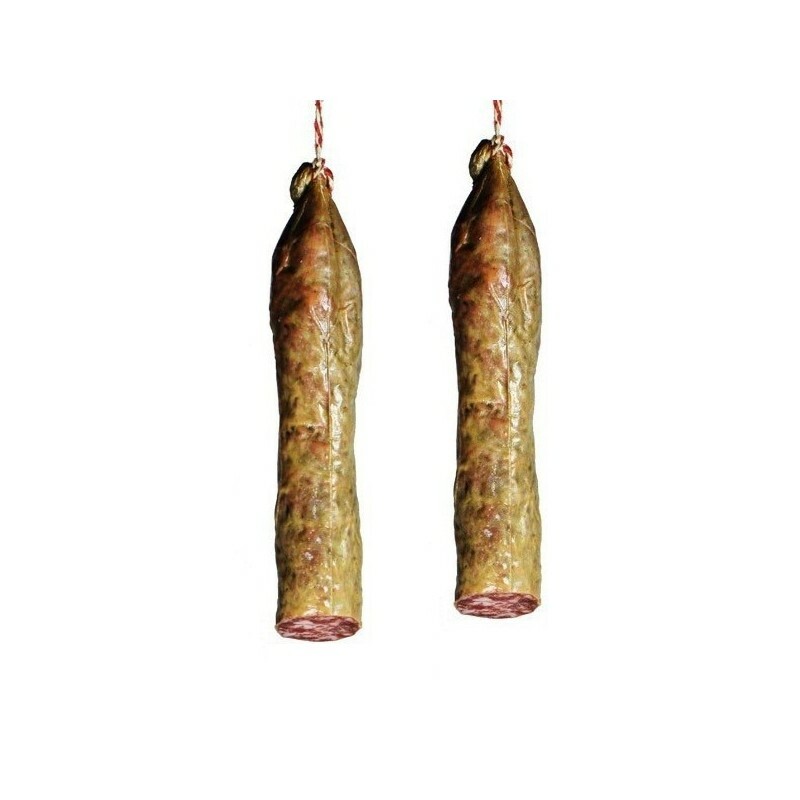 Jurian S. el día 12/16/2013 Content des saucissons reçus, mais il n'est pas indiqué la liste de tous les ingrédients sur le site en description. Il serait bon de compléter la description (!). A noter le rouge de cochenille E120 (et les classiques E450 et E252). Christopher P. el día 11/15/2013 I am very pleased with the high quality of this. I think that they all have a great value for money! Very delicious. 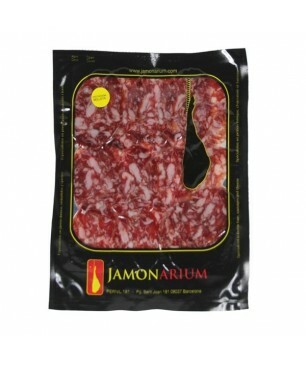 I have already recommended Jamonarium many times! Great products, great service, very professional packaging and email ordering process (confirmations, oder tracking etc.